New Age Metals Inc. (TSXV:NAM, OTCQB:NMTLF, FSE:P7J.F) is pleased to provide an update on the current surface exploration program on the company’s Lithium One Project. – Exploration in southeast Manitoba is focused on Lithium-bearing pegmatites and other rare metals. – Rubidium Oxide is a highly insoluble thermally stable Rubidium source suitable for glass, optic and ceramic applications. Rubidium is recovered commercially from Lepidolite as a by-product of lithium extraction. – Mapping and sampling at the Silverleaf Pegmatite on the Lithium One Project returned numerous samples of strong lithium mineralization with assays up to 4.1% Li2O and Rubidium up to 6.1% Rb2O on the Silverleaf Pegmatite. – Drill permits have been applied for on the Lithium Two and Lithium One Projects and the company is awaiting approval from the province. – The company recently signed an Exploration Agreement with the Sagkeeng First Nation, see news release dated October 25, 2018. New Age Metals Inc. (TSXV:NAM; OTCQB:NMTLF; FSE:P7J.F) is pleased to provide an update on the current surface exploration program on the company’s Lithium One Project. The company’s Lithium Division, Lithium Canada Development, has an aggressive exploration program for 2018. 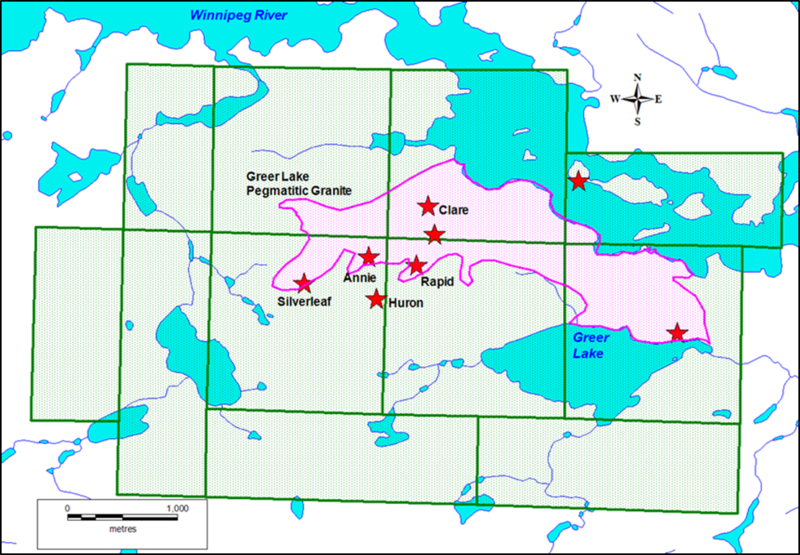 The Joint Venture with New Age Metals and Azincourt Energy, has eight Lithium Projects in the Winnipeg River Pegmatite Field, located in SE Manitoba (Figure 1). A field crew was active in the late summer and early fall exploring on the Lithium One Project. 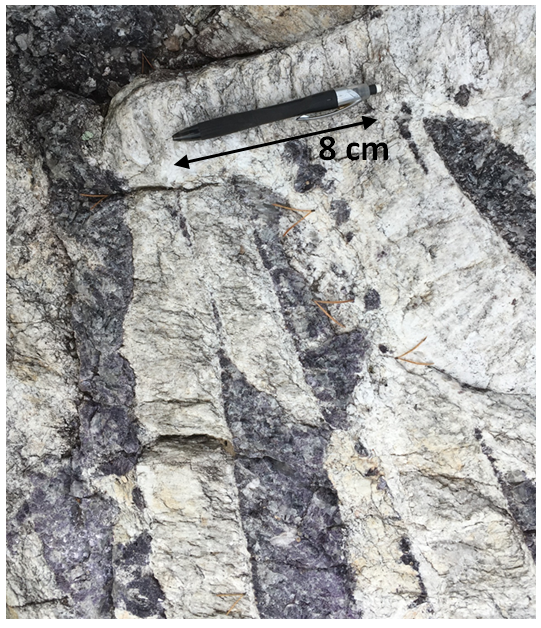 The reported results are from the Silverleaf Pegmatite (Figure 2). The Annie and other pegmatites from the Lithium One Project have been assayed and assay results are pending. 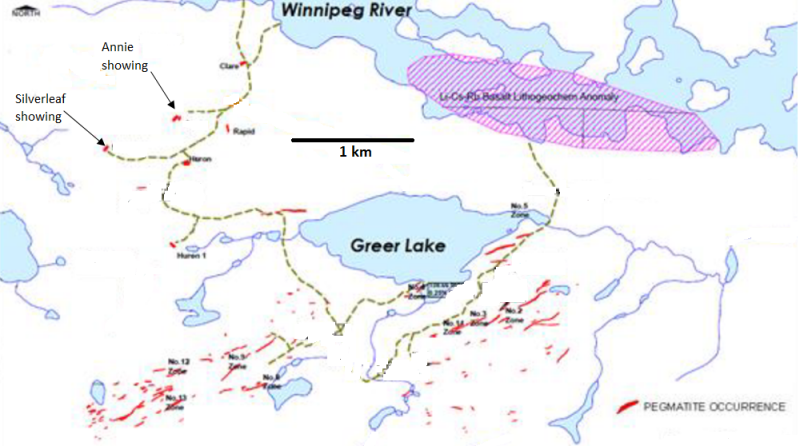 The Lithium One Project is located 125 kilometres northeast of Winnipeg, Manitoba and is geologically characterized as being a part of the Cat Lake-Winnipeg River Pegmatite Field. This Pegmatite Field is host to the world-class Tanco Pegmatite, which has been mined since 1969 for Tantalum, Cesium, and Spodumene (a Lithium bearing ore). 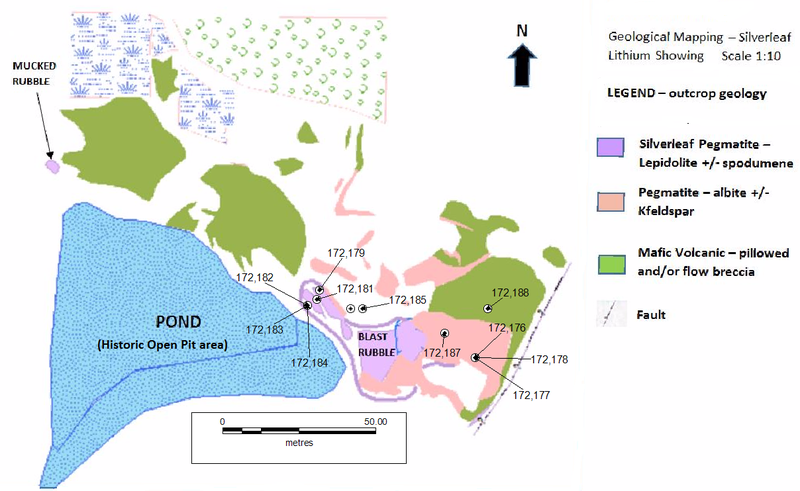 Historically the Lithium One Project area is known for the presence of numerous surface Pegmatites of various dimensions and compositions (see Figure 3). 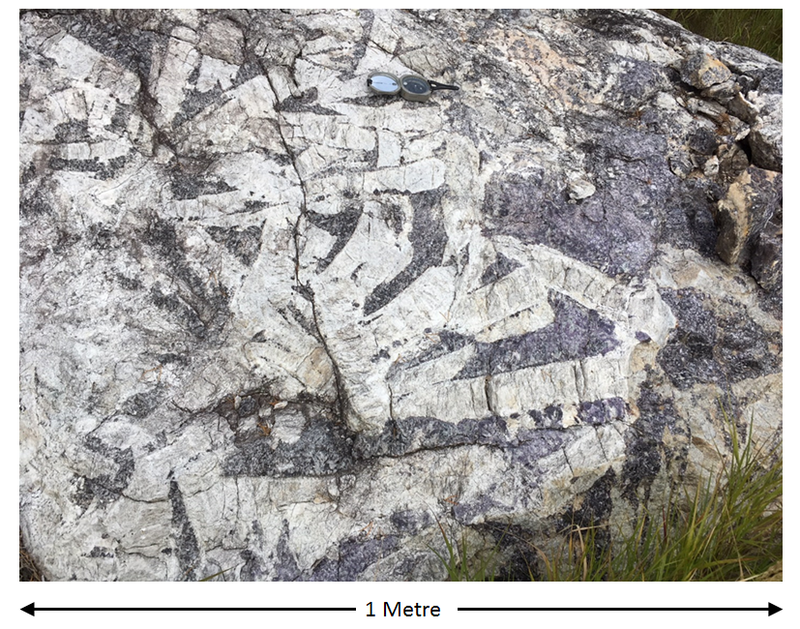 The Silverleaf Pegmatite (Figure 4) is a zoned complex Lithium-bearing Pegmatite with a surface exposure of approximately 80 metres x 45 metres. The Pegmatite is exposed in the northeast and strikes under cover to the southwest. Samples taken from the Lepidolite-Spodumene Zone yielded assays from 1.81% to 4.09% Li2O and 0.63% to 6.11% Rb2O. This zone is approximately 50 metres x 20 metres in size and extends into a historic excavated open pit. The historic open pit area originates from the late 1920s, when a bulk sample of Spodumene was mined from the southwest side of the Silverleaf Pegmatite. Large scale mining operations were not undertaken at that time. The area has seen sporadic exploration activity with focus on base metals and tantalum with minor exploration for Lithium. (http://webmineral.com/data/Spodumene.shtml#.W-ShltVKipo) have a Lithium content from 3.73 to 8.03% Li2O. This would tend to indicate that the Spodumene crystals present at the Silverleaf Pegmatite are of a very high Lithium content. The Spodumene blades at the surface of the Silverleaf Pegmatite can reach a length of up to 40 centimeters and a width of 10 centimeters (see Figure 5 and 6). The Spodumene blades are surrounded by Lithium bearing purple micas (Lepidolite). All samples were analyzed at the Activation Laboratories facility, in Ancaster, Ontario. Samples were prepared, using the lab’s Code RX1 procedure. Samples are crushed, up to 95% passing through a 10 mesh, riffle split, and then pulverized, with mild steel, to 95%, passing 105 ?m. Analyses were completed, using the lab’s Ultratrace 7 Package; a Sodium Peroxide Fusion which allows for total metal recovery and is effective for analysis of Sulphides and refractory minerals. Assay analyses are carried out, using ICP-OES and ICP-MS instrumentation. New Age Metals implemented a QA/QC field program with insertion of blanks at regular intervals. Activation Laboratories has their own internal QA/QC procedures that it carries out for all sample batches. In January of 2018, NAM announced a signed final agreement with Azincourt Energy Corp. (TSX.V: AAZ) for the Manitoba Lithium Projects. (News Release: January 15th, 2018) This Pegmatite Field hosts the world class Tanco Pegmatite that has been mined for Tantalum, Cesium and Spodumene (one of the primary Lithium ore minerals) in varying capacities, since 1969. NAM’s Lithium Projects are strategically situated in this prolific Pegmatite Field. 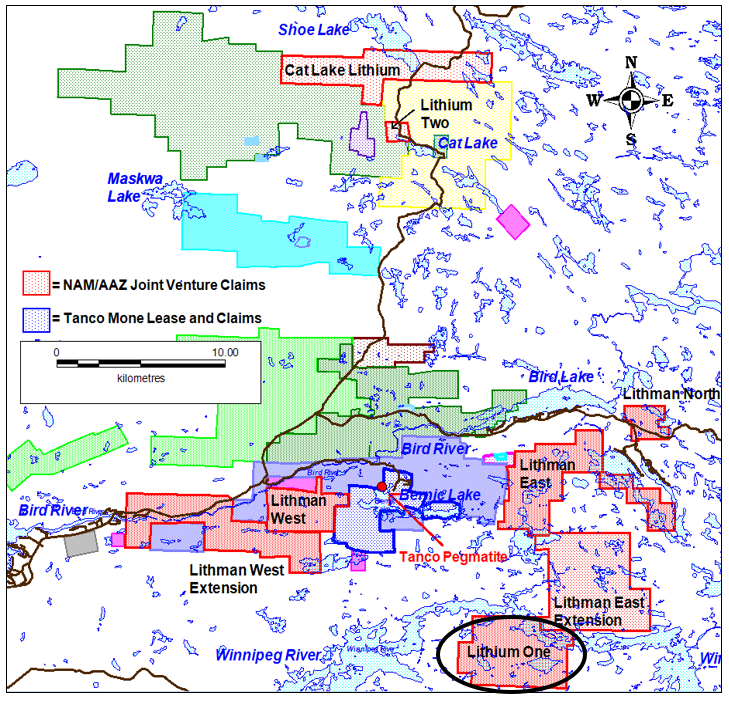 Presently, NAM, under its subsidiary Lithium Canada Developments, is one of the largest mineral claim holders in the Winnipeg River Pegmatite Field for Lithium. Azincourt Energy Corp. as our option/joint venture is financed for and has committed to a minimum of $600,000 to be expended on exploration in Manitoba for 2018. See news release dated Janurary 15, 2018. NAM’s flagship project is its 100% owned River Valley PGM Project (NAM Website – River Valley Project) in the Sudbury Mining District of Northern Ontario (100 km east of Sudbury, Ontario). See results from the most recent NI 43-101 resource update below in Table 1. NAM management and consultants are currently designing a complete drill program to be executed in 2019 for the River Valley Project. This plan will consider previously proposed drill parameters and will be based on the most recent geophysical assessment and consultant expertise. The projects first economic study, a Preliminary Economic Assessment (PEA) is underway and is being overseen by Mr. Michael Neumann, P.Eng., a veteran mining engineer and one of NAM’s directors. See the most recent press releases for the River Valley Project PEA which detail the appointment of P&E Mining Consultants and DRA Americas to jointly conduct the study, dated July 25, 2018 and August 1, 2018 respectively. Our new Fall Chairman’s message can be accessed at our website (www.newagemetals.com) . A.CIM definition standards were followed for the resource estimation. B.The 2018 Mineral Resource models used Ordinary Kriging grade estimation within a three-dimensional block model with mineralized zones defined by wireframed solids. C.A base cut-off grade of 0.4 g/t PdEq was used for reporting Mineral Resources. D.Palladium Equivalent (PdEq) calculated using (US$): $1,000/oz Pd, $1,000/oz Pt, $1,350/oz Au, $1750/oz Rh, $3.20/lb Cu, $5.50/lb Ni, $36/lb Co.
E.Numbers may not add exactly due to rounding. F.Mineral Resources that are not Mineral Reserves do not have economic viability. G. The Inferred Mineral Resource in this estimate has a lower level of confidence that that applied to an Indicated Mineral Resource and must not be converted to a Mineral Reserve. It is reasonably expected that the majority of the Inferred Mineral Resource could be upgraded to an Indicated Mineral Resource with continued exploration.